Sometimes incorrect entries can be recorded against you with the credit reference agencies which lenders refer to when they check your credit history. Any errors or incorrect information can make it more difficult to obtain credit. Ideally you should enclose a copy of the relevant section of your credit file showing the incorrect entry and provide evidence to support your request. You should be able to do this without the help of an expert however, if you wish, you can instruct us to do this on your behalf as part of a mortgage application. We may charge £49 per hour for this. 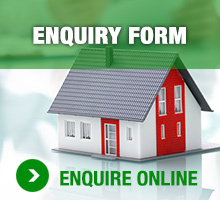 Contact us today, free on 0800 012 9995 to talk to a Specialist Mortgage Adviser. Or email us by clicking the button opposite.